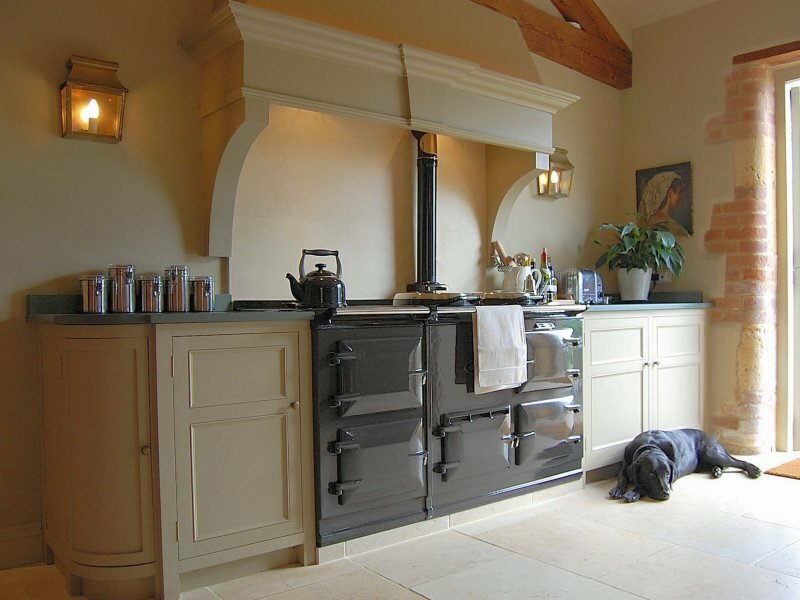 Being one of the leading providers of aga repairs in Devon, we know just how important it is to keep your aga cooker in tip-top condition to ensure that it is working correctly. Like other ovens, Agas can become incredibly dirty-but only if you let it. Keeping on top of the dirt and wiping over the enamel after each use will ensure that your aga remains clean and looking even more impressive than it already does. So, how can we make sure that our ovens stay clean? 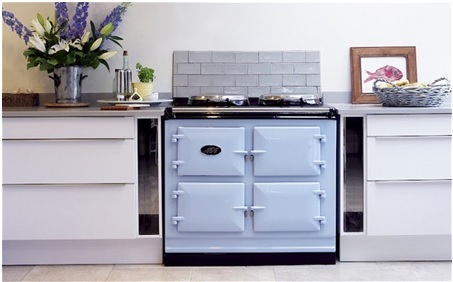 Here are our 4 tips on how to clean your aga cooker! If you’ve noticed that whatever you’ve been cooking has spilt and become bakes onto the enamel of your oven, use a soft, soap covered pad as soon as your oven has cooled down. The sooner that the spill is noticed and dealt with, the easier it will be to remove. Make sure that the sponge or pad that you are using is soft as we want to avoid scratching off the enamel of the cooker. It’s also important not to use an oven cleaner, as this could damage or mark the enamel. Believe it or not, the main ovens don’t really need much cleaning as they can be considered “self cleaning”. Any spills inside the main ovens will be baked down to a carbonised dust which can be easily brushed out with a wire brush. Only use the wire brush on the cast iron components! It can be easy to forget about giving the doors and the lids a wipe down when you are concentrating on cleaning the rest of your cooker. The insulating lids can be removed, but they can sometimes be tricky to place back on and is best left to your engineer to do. To avoid this, you can clean the lids in situ. The inside of the lid liners are aluminium and care needs to be taken not to scratch the soft surface of them. Bicarbonate of soda and water made into a paste works extremely well. This of course needs to be done whilst the Aga is turned off and cold. Ideal to be done prior to a service visit as you need to have the Aga turned off and cool for us to carry out a service. The bicarbonate of soda trick also works very well on the usually tricky to clean door linings. Afterwards they should be wiped down with a warm soapy cloth and they can also be taken off. This isn’t advised as it is incredibly important that they are placed back in the right place to avoid damage to the cooker and they should never be submerged in water. Generally speaking, there shouldn’t be much if any build up of soot in the flue as Aga cookers are incredibly efficient, meaning some units can go for many years without needing to have the flue cleaned if routine service schedules are followed. However, it is always good practise to keep the flue swept as your chimney sweep can let you know if there are any issues developing before a problem could potentially happen. 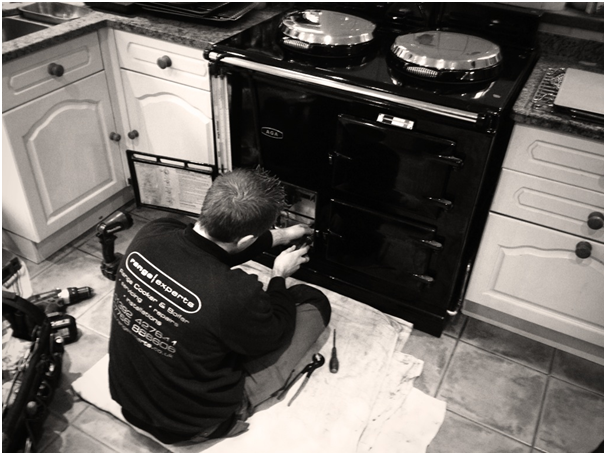 At Range Experts when we carry out any routine servicing of your appliance we always clean the internal flueways within your range cooker and carry out a smoke test on your chimney to ensure that it is working satisfactorily and of course let you know if we have any concerns or find any issues. However, if this is all a bit daunting for you, and you’d rather have an aga expert come in and help you clean your aga cooker, don’t hesitate to contact us here at Range Experts. Call us today on 01392 427641 and a member of our expert team will be happy to help you with your enquiries as well as recommend an expert to come in to clean your Aga for you! Be sure to follow us over on Facebook and Twitter for all our latest news and updates!